In close collaboration with in-house Landscape Architects, Urban Designers and Town Planners, Tract’s Media team produces quality media and communications that reflect extensive industry-specific experience. Our diverse team of Graphic Artists, Web Designers, 3D Visualisers and IT professionals apply their broad skill base to the special requirements of the property industry. 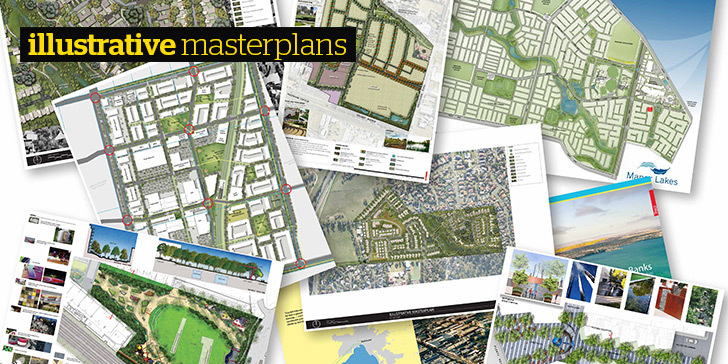 Our Illustrative Masterplans express Tract’s long history of creative evolution, combining highly specialised skills and the latest graphic software to showcase our detailed Masterplans in their best possible light. 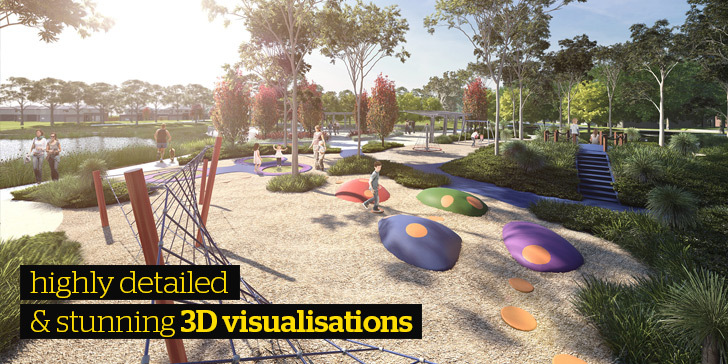 Our industry leading 3D Still Renders and Animations are produced as highly detailed and stunning visualisations for marketing use or to simply compliment the design process. 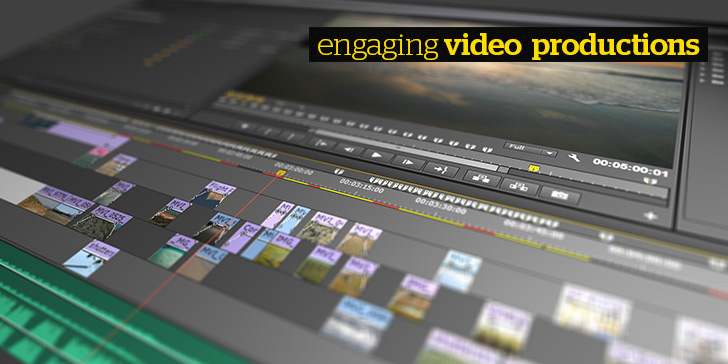 Our engaging Video Productions combine our skills in 3D, animation, photography and graphic design to make complex ideas accessible. Our videos are widely used for community consultation, important presentations or on project websites. 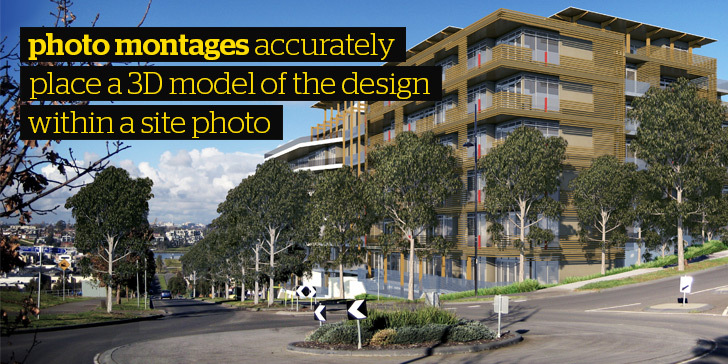 Photo Montages accurately place a 3D model of the design within a site photo to demonstrate how the project will look upon completion. Effective for Council or Tribunal approval or to assist with shaping the design. 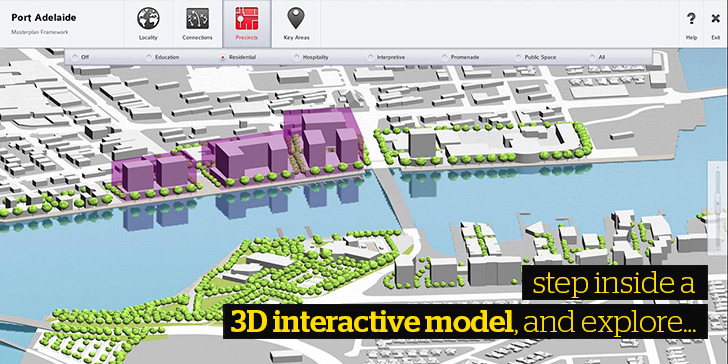 Step inside a 3D Interactive Model and explore the project from any perspective. This approach communicates the design effectively and often accelerates the design decision process. 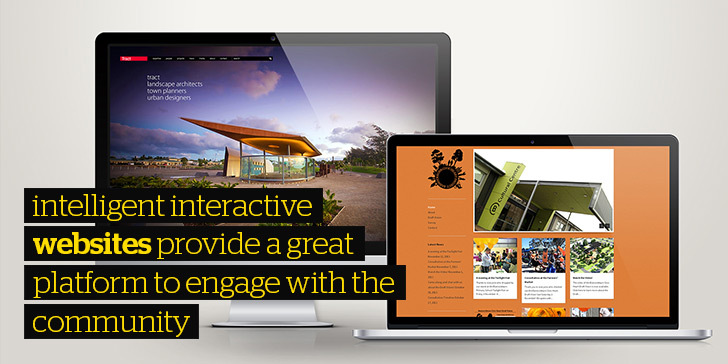 Our intelligent interactive Websites provide a great platform to engage with the community. An effective website and social media strategy is vital to the success of any communication strategy. 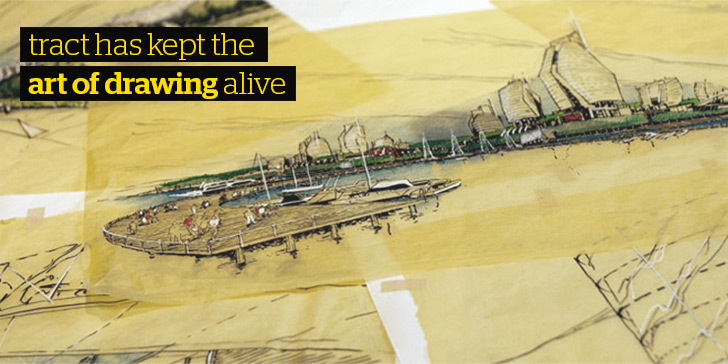 Tract has kept the art of drawing alive, offering traditional techniques as well as new technology fusing illustration with 3D imagery. Sketched Architectural Perspectives and vignettes are valuable aids for visioning, especially where design information is limited. 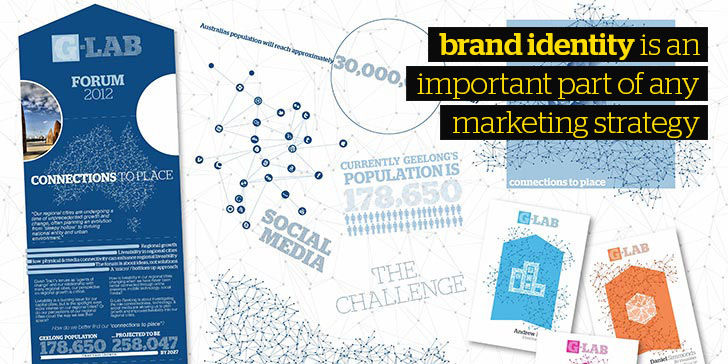 A strong and consistent Brand Identity is an important part of any marketing strategy, Our experienced team ensures that impressions of your brand are professional and consistent. 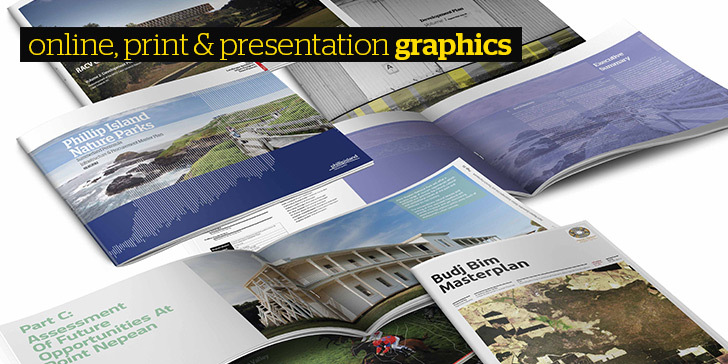 Our highly experienced Graphic Designers produce a wide range of online, print and presentation graphics that present a clear, consistent and strong project message.